Easter is coming early this year and at Bel Café there are plenty of treats to be had. Meet the man behind the sweet creations: Pastry Chef extraordinaire Wayne Kozinko. “My passion for pastry started at a very young age when I used to bake with my mom in our family kitchen at home in Edmonton,” says Wayne. Wayne moved to the West Coast and spent much of his career in Vancouver. After he graduated from North Island College’s culinary arts program and completed an apprenticeship at Vancouver Community College, he honed his skills at Vancouver’s Il Giardino and Borgo Antico. 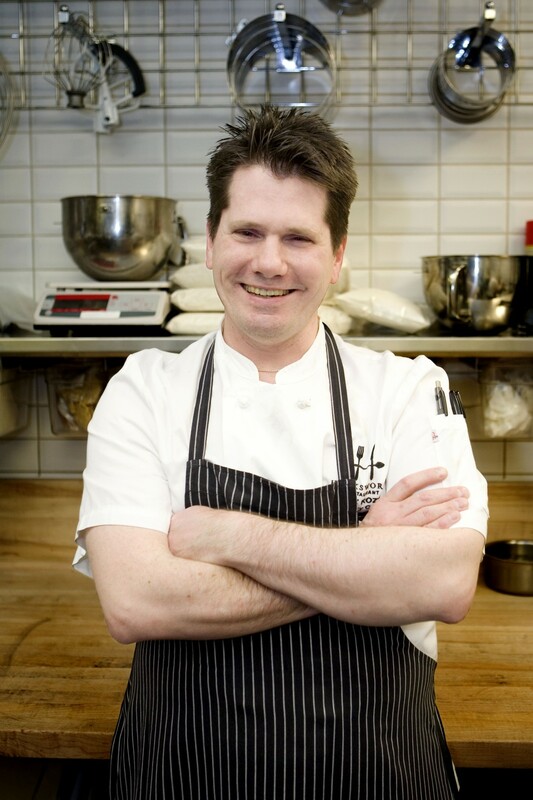 Wayne joined the team at Hawksworth Restaurant Group following a stint as Pastry Chef for the Four Seasons Hotel and its restaurant, Yew. Previously he spent nearly a decade at the Metropolitan Hotel, where he worked with Executive Pastry Chef and acclaimed Chocolatier Thomas Haas. “My favourite ingredients for spring are anything bright and citrusy,” says Wayne of the fresh flavours that the new season brings. While traditional hot cross buns are a must on his dessert menu at Bel Café for Easter, there’s also a mousse-based cake for a different twist. Wayne’s entremet of white chocolate and Chantilly crème also features coconut, ginger and yuzu for a light treat that’s ideal after the indulgences of Easter dinner. When Wayne’s not in the kitchen he can be found sampling the sweets of other cities. Two of his favourites include the elegant Parisian style Francois Payard Bakery in New York and the contemporary Craftsman and Wolves in San Francisco. Check out www.belcafe.com for ordering information.